Reduces classroom noise and protects floors. 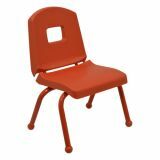 Fits all standard classroom style chairs. Easy to install–just slip over foot of the chair. 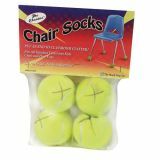 Put an end to classroom clatter with Chair Sox! 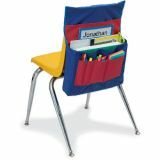 These great products eliminates the distracting noises of shuffling chairs and desks in a classroom setting. The chair sox come pre-cut and ready to put on. 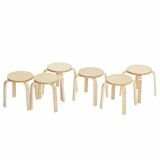 Assembly is easy, just slip it over the foot of the chair, no tools required. 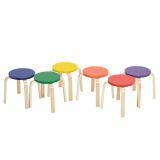 Fits all standard classroom style chairs and desk legs. 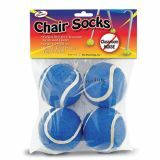 Classroom set contains thirty-six 4 packs of Chair Sox! 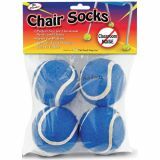 Put an end to classroom clatter with Chair Sox! 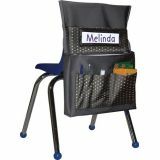 These great products eliminates the distracting noises of shuffling chairs and desks in a classroom setting. The chair sox come pre-cut and ready to put on. Assembly is easy, just slip it over the foot of the chair, no tools required. Fits all standard classroom style chairs and desk legs. The perfect solution for storing and organizing children's school materials while keeping them easily accessible. There are two large pockets and four small pockets, along with a place for the student's name. 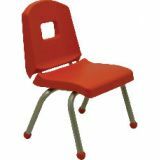 Fits most preschool and elementary size chairs. Product size is 18 1/2" x 14 1/2" x 2 1/2". Main pocket 15" x 11-1⁄2". Stylish, durable solid hardwood child's rocker in clear non-toxic lacquer finish. Lifetime warranty. Fully assembled. 15 1⁄2"W x 22"D x 28"H. Seat height 12". Weight 13 lbs. Additional shipping charges apply.